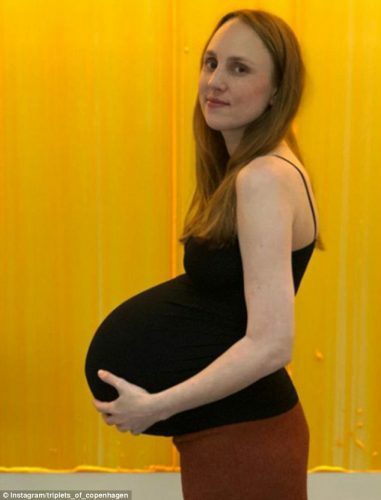 Most moms-to-be capture photos of their growing belly to document their pregnancy, but in the case of a woman pregnant with triplets, her photos were absolutely jaw dropping. 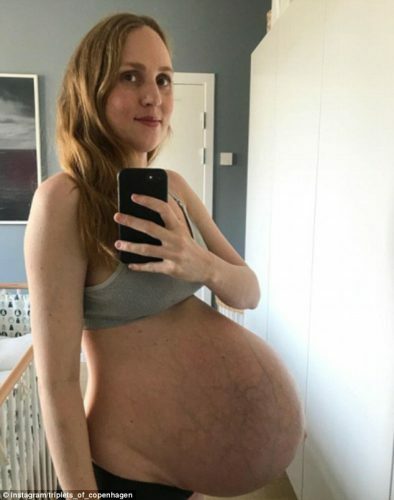 Maria, of Copenhagen, Denmark has ramped up her followers on Instagram by sharing photos of her ever increasing baby bump. Maria and her husband Anders have a two year old son, Mikael, and are set to welcome two girls and a boy later this month. 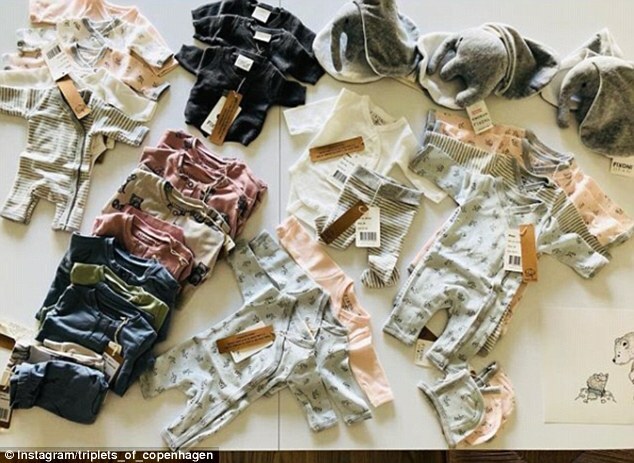 Her Instagram handle is fitting: triplets_of_copenhagen. Maria uses the social media platform to share weekly photos that are astounding, given how much growth her stomach has experienced during the pregnancy. Maria and Anders met on Tinder four years ago and were married earlier this year. They wanted their son to have a baby brother or sister, but were surprised to discover they were expecting triplets without undergoing any fertility treatment. The odds of conceiving triplets without any treatment is roughly one in 4,400, the Daily Mail reports. Given the sudden growth in their family size, they had to trade in an SUV for a practical van to fit everyone and have been stocking up on gear and outfits for the new arrivals. They also had to account for a challenging lack of space for all of the new baby items and their growing family, making creative use of their 860 sq. ft. Copenhagen apartment.